Allegra Boverman/Gloucester Daily Times. 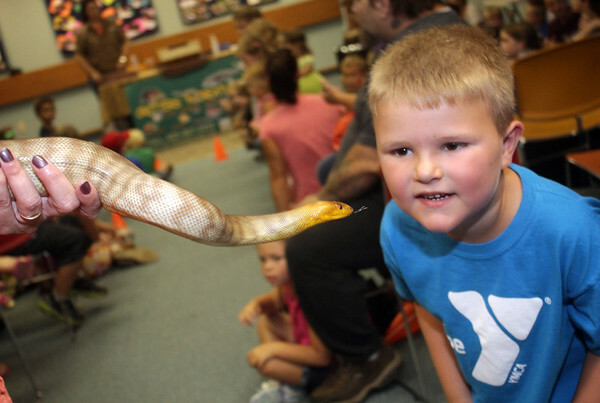 Gavin Bren, 5, of Gloucester and a Woma python from Australia eye each other during a Sawyer Free Library summer reading presentation by Critters 'n Creatures on Wednesday morning. The theme "Dig into Reading" was shown in the animal world with animals who like to burrow and dig. On view were an armadillo, salamander, hedgehog, box turtle, ferret, woma python, American alligator and spotted skunk.